Library Loot is a weekly event that encourages bloggers to share the books they've checked out from the library. The event is co-hosted by The Captive Reader and The Adventures of an Intrepid Reader. Library Loot has quickly become one of my favorite events to take part in. I heart my library so hard. This was a FANTASTIC library week for me! Fantastic I say! My local library held their annual Friends of the Library used book sale and I came home with a stack of books that made my arms ache. Check out my post on the sale and see all the fab reads I came home with. How far would you go for the best friend who broke your heart? This internationally bestselling novel tells an enchanting tale of life’s most unpredictable loves and heartaches, and the unforgettable bond between a single woman and an extraordinary five-year-old girl. From the moment they met in college, best friends Adele Brannon and Kamryn Matika thought nothing could come between them—until Adele did the unthinkable and slept with Kamryn’s fiancé, Nate. Now, after years of silence, the two women are reuniting, and Adele has a stunning request for her old friend: she wants Kamryn to adopt her five-year-old daughter, Tegan. Besides the difference in skin color—many will assume that headstrong, impulsive Kamryn is Tegan’s nanny—there’s the inconvenient truth that Kamryn is wholly unprepared to take care of anyone, especially someone who reminds her so much of Nate. With crises brewing at work and her love life in shambles, can Kamryn somehow become the mother a little girl needs her to be? For most of us, traveling means visiting the most beautiful places on Earth—Paris, the Taj Mahal, the Grand Canyon. It’s rare to book a plane ticket to visit the lifeless moonscape of Canada’s oil sand strip mines, or to seek out the Chinese city of Linfen, legendary as the most polluted in the world. 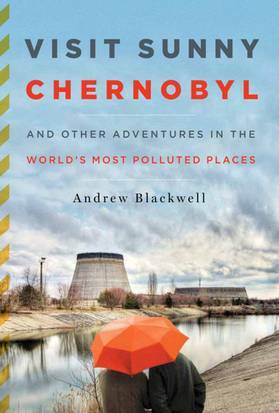 But in Visit Sunny Chernobyl, Andrew Blackwell embraces a different kind of travel, taking a jaunt through the most gruesomely polluted places on Earth. From the hidden bars and convenience stores of a radioactive wilderness to the sacred but reeking waters of India, Visit Sunny Chernobyl fuses immersive first-person reporting with satire and analysis, making the case that it’s time to start appreciating our planet as it is—not as we wish it would be. Irreverent and reflective, the book is a love letter to our biosphere’s most tainted, most degraded ecosystems, and a measured consideration of what they mean for us. Equal parts travelogue, expose, environmental memoir, and faux guidebook, Blackwell careens through a rogue’s gallery of environmental disaster areas in search of the worst the world has to offer—and approaches a deeper understanding of what’s really happening to our planet in the process. When Elizabeth Endicott arrives in Syria, she has a diploma from Mount Holyoke College, a crash course in nursing, and only the most basic grasp of the Armenian language. The First World War is spreading across Europe, and she has volunteered on behalf of the Boston-based Friends of Armenia to deliver food and medical aid to refugees of the Armenian genocide. There, Elizabeth becomes friendly with Armen, a young Armenian engineer who has already lost his wife and infant daughter. When Armen leaves Aleppo to join the British Army in Egypt, he begins to write Elizabeth letters, and comes to realize that he has fallen in love with the wealthy, young American woman who is so different from the wife he lost.Flash forward to the present, where we meet Laura Petrosian, a novelist living in suburban New York. Although her grandparents’ ornate Pelham home was affectionately nicknamed the “Ottoman Annex,” Laura has never really given her Armenian heritage much thought. But when an old friend calls, claiming to have seen a newspaper photo of Laura’s grandmother promoting an exhibit at a Boston museum, Laura embarks on a journey back through her family’s history that reveals love, loss—and a wrenching secret that has been buried for generations. Acclaimed as “extraordinary” (The New York Times) and “a classic” (Los Angeles Times), The Big Necessity is on its way to removing the taboo on bodily waste—something common to all and as natural as breathing. We prefer not to talk about it, but we should—even those of us who take care of our business in pristine, sanitary conditions. Disease spread by waste kills more people worldwide every year than any other single cause of death. Even in America, nearly two million people have no access to an indoor toilet. Yet the subject remains unmentionable. 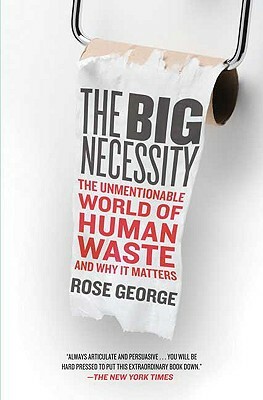 Moving from the underground sewers of Paris, London, and New York (an infrastructure disaster waiting to happen) to an Indian slum where ten toilets are shared by 60,000 people, The Big Necessity breaks the silence, revealing everything that matters about how people do—and don’t—deal with their own waste. With razor-sharp wit and crusading urgency, mixing levity with gravity, Rose George has turned the subject we like to avoid into a cause with the most serious of consequences. I hope you had as much luck! 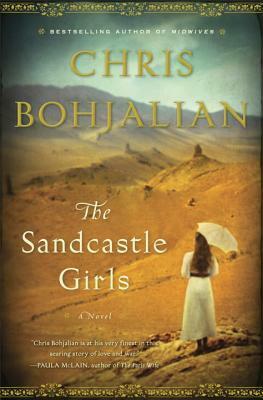 The Sandcastle Girls is on my list. Hope you like it. Thanks Jen, I really scored big this week! Fantastic indeed! The Sandcastle Girls sounds great and The Big Necessity and Visit Sunny Chernobyl both promise to be really interesting too. Enjoy! Thanks Claire! I'm just wrapping up Sunny Chernobyl now..whew what a read! 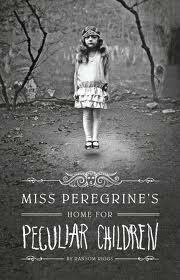 I read Miss Peregrine's Home for Peculiar Children! (A mouthful of a title, there.) Heading over to your review now! Love your Library Sale loot! Some great titles there and the Chernobyl book here looks interesting. Thanks Cat, I was very happy with my haul! Hope you enjoy all your books this week. I really liked Miss Peregrine and have heard good things about Sandcastle Girls. The Big Necessity is the one that takes my eye. Great cover. I think I'm attracted to it because I'm in a country where thrones are making inroads, but there is still that dogged attachment to the squat toilet. I'm really looking forward to that one myself. I hope it's as good and informative as I expect it to be!